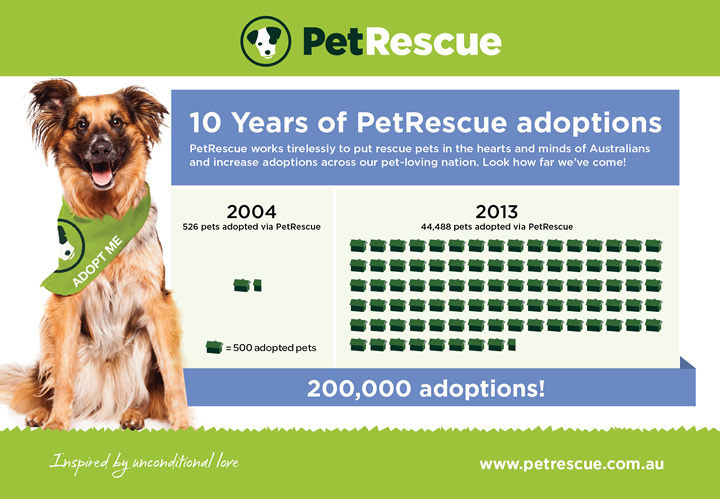 The first in a series of snazzy infographics to celebrate our 10-year anniversary presents the annual adoption figures from 2004 and 2013. Just look how far we’ve come! Download and share.